A large proportion of customers are today accessing the internet on their smartphones and tablets. Therefore, mobile apps have become an essential part of the customer’s day-to-day life. Retailers who want to survive the tough competition in their industries should have a mobile-friendly website to enhance the user experience. Mobile apps have also made it easier for customers to shop and scroll through the retailer's different offers on-the-go. Mobile apps also serve as a brand reminder for consumers, and in a way apps are helping to change the relationship between the customer and the retailer. The apps are always present on the buyer's home screen and they serve as a passive reminder to the customers. Most customers get into the habit of opening the app at least once a day to find out about your latest offers and promotions. The retailer can thus be on the consumer's mind around the clock, increasing brand awareness. This was not possible few years ago, as physical shops used to keep distinct business hours and close at the end of each day. But ecommerce websites are essentially allowing for extended business hours and frequent customer visits to the virtual stores, and are redefining the consumer and retailer relationship. There is one thing that small retailers who have mobile apps need to remember. It is not sufficient to simply have an app. You need to make sure that the app is user-friendly and that your customers are using it. At the same time, it is also important that the app is updated on a regular basis. You may have to change a part of the app or even the whole app depending on the changing needs of your target audience. 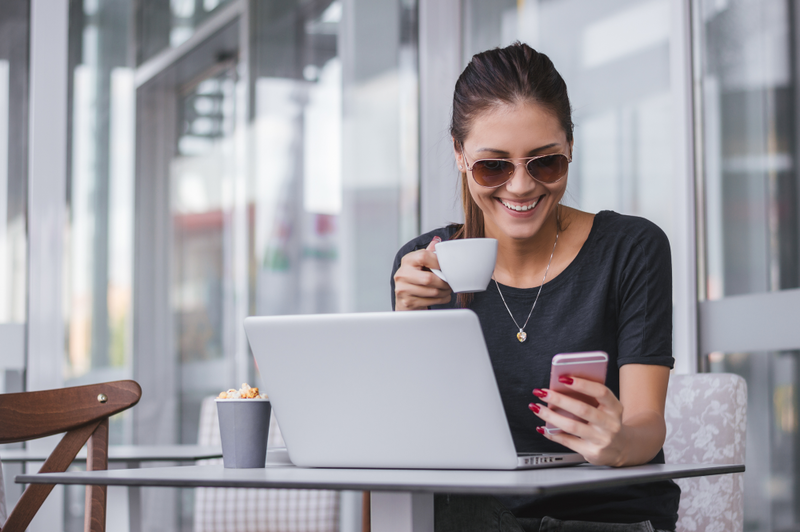 Retailers used to rely solely on emails to send updates to their target customers, but the time when the customer saw the email depended completely on when they chose to check their inbox. Emails also often got lost in the spam folder and never reached the customer at all. And we all know that even when emails do reach the customer's inbox, they're often ignored due to other important business or personal emails with higher priority. Customers are also known to delete emails without reading them, no matter how good your email campaign is. 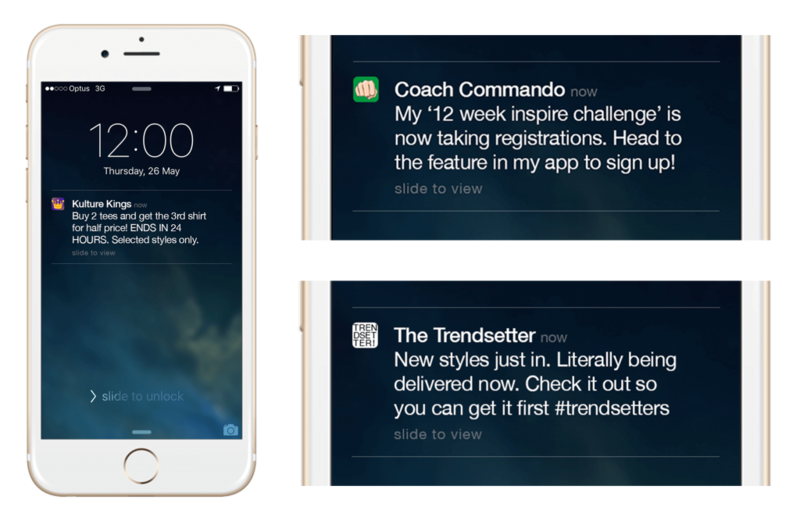 Thankfully, you're no longer reliant completely on email as technology has made it possible to send push notifications to the customer’s mobile phone. So, what customers missed due to spam filters or other email priorities can now appear right on their home screen. This has made it easier to grab the attention of the customer and is one of the best ways to promote new products and offers. Retailers can be sure that customers will notice these notifications. Advertisements in apps also help grab customer attention. Just be sure you only advertise on apps that are related to your products and services. Every shopper will always love a personalized user experience that's tailored just for them. 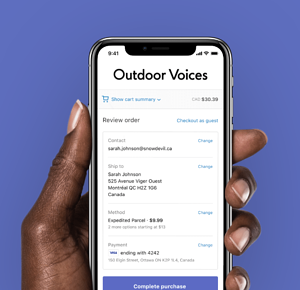 Advancement of technology in the eCommerce industry has made it easier for retailers and business to give their customers the personalized experience they're looking for. Technology has improved customer service standards. Businesses can now service customers using different channels like social media platforms, personal assistants, chat bots, and more. Customers today use a variety of platforms to learn more about services and brands. Businesses must make sure that they have their presence on every platform that the consumer is accessing. One of the biggest advantages of these social media platforms is that even a large retailer can actually interact directly with customers. This leads to better understanding of customer requirements and expectations. Comments and customer reviews are some of the biggest sources of customer feedback. If a business wants to excel then they must take this feedback seriously and take active measures to make improvements in their services and products accordingly. You should also ensure a fast response time to customers across these different media platforms so your business appears engaged. Every customer will want to have a convenient shopping experience. Long working hours are making it difficult for the consumer to go shopping in the brick-and-mortar markets on a regular basis. But technology in the eCommerce industry has changed all this. Avid shoppers can now easily access online stores from their laptops, mobiles, tablets and other devices from anywhere and at any time. They can now shop as per their convenience. Online stores offer a large variety. Also in the case of clothing lines or fashion accessories, online stores can present a greater selection of sizes, shapes, colors, and more options which the customer can view on their smartphones — often more options than the retailer can stock in a physical store. But there are some other features that also influence customers to get them more inclined towards eCommerce. Clients can actually track the status of their order. They can check online if their order has shipped or is out for delivery. There are also other advantages like better pricing and same-day delivery options. The way technology is changing the entire concept of shopping, the day is not far off when the eCommerce industry will also have express delivery options where one will be able to actually get the order dispatched within a few minutes. Commerce used to be dominated by the big players who had plush outlets that remained in the memory of customers. Big brands captured the major market share while even the best small brands lived the life of anonymity. The smaller players had no options for reaching out to the global market. Their share of customers only came from the local crowd from the area where the shop was located. But with eCommerce and advancement in technology, it has become possible for businesses of all sizes to make their presence felt. Every business, whether big or small, can reach out to a wider customer base. There are eCommerce websites that have made it possible for the smaller businesses to stand along with the bigger brands. Today consumers can get to know even the smallest brands at the click of a button. This is also one of the major boons for not just small businesses but also for startups. They can spread their wings in the global market, and this has become possible only because of the growing power of the eCommerce industry. On online stores like Amazon you will find that apparel from your local market is rubbing shoulders with some of the most high-profile brands from the clothing and fashion arena. This is true for all other industries as well. Technology has converted the eCommerce industry for the better. Today retailers and businesses of all sizes can remain in the minds of consumers because of advancement in the eCommerce industry. Technological advancement is transforming the consumer and retailer relationship and helping to give an almost fair chance to businesses of every size. So, businesses who always wanted to have global reach, but had limited potential to do so, must understand that they can achieve their goal now. They need to understand that they can capture the attention of audiences in other cities by simply having an online store or by advertising and selling their products on big online shopping malls like Amazon. But this can be achieved only if they adopt new eCommerce technology in the best possible way. They need to blend traditional marketing techniques with the new concepts in the eCommerce industry in order to taste success in terms of a bigger customer base and better sales. Retailers need to have a well-defined digital marketing strategy in order to boost their sales and increase their return on investment with the use of eCommerce. There are ecommerce experts who can help create the best strategies, but the retailers need to make sure that they hire only the best, who are well versed in all the latest trends in the digital marketing industry and eCommerce. Emerging technologies have surely changed the entire outlook of customers and have changed the way the world shops.